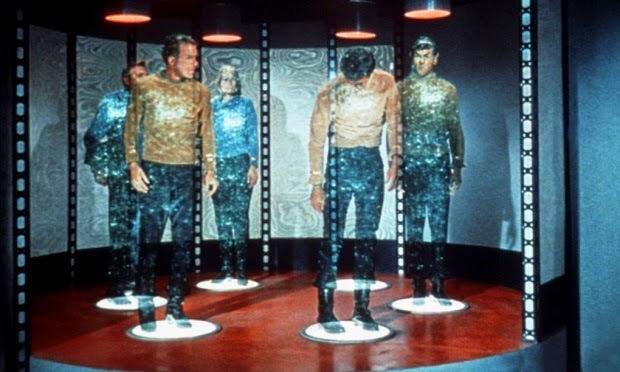 Scientists from the Hasso Plattner Institute in Potsdam has created a real life teleporter system that can scan an object and move it to another location. Not enough dematerialization and reconstruction of science fiction, the system relies on the destructive scanning and 3D printing. This system has two engines. An object in one machine scans the layers upon layers are then transmitted via encrypted communications to a 3D printer. Printers in other machines then replicate the original object layer by layer, effective enough to move objects from one place to another. "We created a simple standalone tool that allows relocation of inanimate objects remotely," said a team of six people in a paper submitted to the Tangible, Embedded and Embodied Interaction conference at Stanford University, as quoted by The Guardian. "Users put the object into a transmitter, then enter the address of the receiver, and press the relocation," he added. The system is nicknamed "Scotty" as a tribute to the chief engineer.